NICE and BTS/SIGN guidelines. 2,4 Achieving a clear consensus for the best diagnostic strategy for asthma is a particular challenge as on top of economic and implementation considerations, the definition of... Previous guidelines and associated resources. 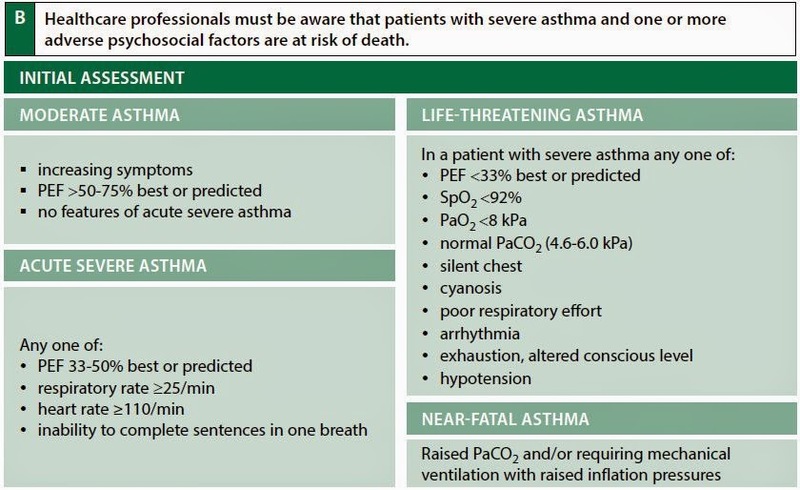 The first joint BTS/SIGN asthma guideline was published in 2003 as a �living guideline�, with annual updates between 2004 and 2012, and every two years since; this is the first such update. Evidence-based information on clinical guidelines for asthma attack from hundreds of trustworthy sources for health and social care. Make better, quicker, evidence based decisions. Evidence search provides access to selected and authoritative evidence in health, social care and public health.